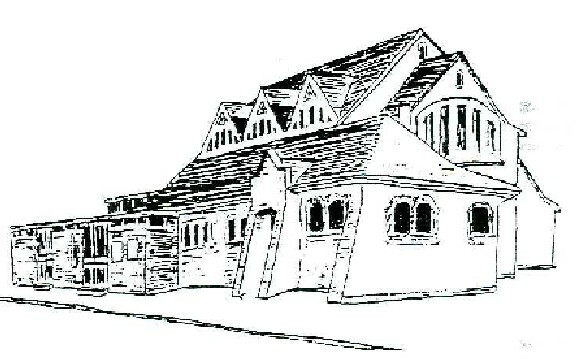 Welcome to Thames Ditton United Reformed Church - a church founded in 1804 in this lovely Thames-side village. Our Sunday services, which include a Junior Church, are at 10.45am, with a Communion Service following once a month. Everyone is welcome. We also welcome visitors to our various social events. From Auguest 2016 we will have a TeaTime Service once a month, in place of that morning's service. We are part of a cluster of four United Reformed Churches, Kingston, New Malden, Tolworth and Thames Ditton. Kingston is served by a full-time minister, our church at Thames Ditton and New Malden URC are served on a 40/60 basis by a minister, and Tolworth share a minister with Epsom and Ewell URCs. Our Minister is the Rev. Peter Flint. Thames Ditton are a joint pastorate with New Malden URC. Peter had been the minister at Dorking United Reformed Church. He had been there since 2005 and he is a very well liked member of the Chrisitan community in Dorking. Peter and Judith have four grown up children. They live in the Manse in New Malden though, as we know from Bruce's time, that is only a short trip up the A3. �Open Lounge� : We are planning to open our Church Lounge on Tuesday afternoons, 2.00 to 4.30pm from January 15th for passers-by to drop into with the help of a Methodist Lay Worker Bronwyn. Peter plans to be there as well and we need one other person each week to serve refreshments and chat to those who call by, if you could spare an occasional Tuesday afternoon please let Peter know. Do pray for this project, that it might be a way for us to strengthen our links with the local community. There will be books, crafts, hot drinks, toast and cakes, with toys for children to play with. Membership makes a difference. The United Reformed Church is a Membership organisation if you are not a member and would like to find out more about it please speak to an Elder or the Minister. In 1972 the Congregational Church of England & Wales, and the Presbyterian Church of England joined together to form the United Reformed Church. The Church has always worked for increased union between churches, and this is certainly so in Thames Ditton, where we work closely with the Church of England at St Nicholas, and also with other churches in the neighbourhood.